Caprini homes for sale are located along the beautiful Costa de Lago on Lake Como. Offering 27 single-family luxury detached villas, each home in Caprini is Tuscan-inspired and designed with elegance and comfort in mind. Progressive and energy-efficient features of homes in Caprini are standard. 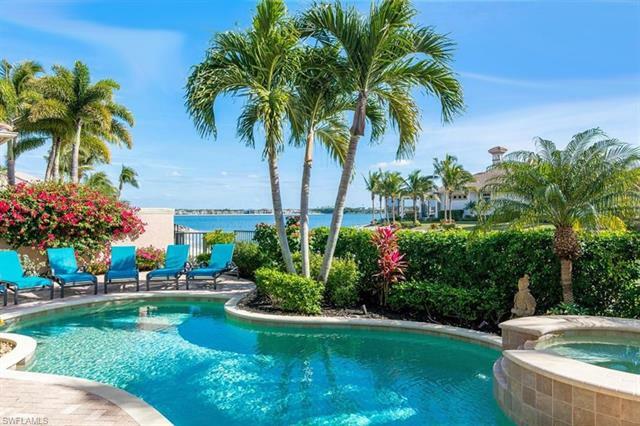 Those who choose to live in Caprini have access to neighborhood boat docks as well as access to all the additional amenities offered to residents of the communities in Miromar. Each luxury home in Caprini includes air conditioning and between 2,900 and 3,200 square feet of living space, making homes for sale in Caprini a highly sought after commodity in today’s growing luxury home market. Two home plans are available in Caprini and include the Vicenza and the Vicenza 3. Each of these beautiful home plans is designed with the homeowners comfort, luxury and privacy in mind. Offering over 2,900 square feet of living space, the Vicenza home includes 3 bedrooms, 3 full and 1 half bath and a 2 car garage. Floor plans also include an almost 400 square foot lanai, cabana, large family room and an additional library. The spacious floor plan of the Vicenza allows you to enjoy the solitude you desire from your luxury waterfront home in Caprini. Similar to the Vicenza, this beautiful Tuscan inspired home plan offers you beauty, luxury and convenience. Over 3,200 square feet of living space includes 3 bedrooms, 3 full baths, 1 half bath and a lanai with almost 600 square feet of space. Also like the Vicenza, homeowners who choose the Vicenza 3 enjoy a large family room and library in this floor plan as well. For even more convenience, a 3 car attached garage affords you the space you need to completely relax and enjoy your home in the beautiful neighborhood of Caprini. In addition to new construction in Caprini, if there are resale opportunities, you can see them below. If you want luxury, privacy and waterfront living, Caprini may be for you. Let me introduce you to Caprini and other Miromar Lakes neighborhoods. My in-depth knowledge of the area will make choosingi the right location easy. Call me at 239-898-6865 or send an email.